I was turning left on to Woodman when I saw a crowd of people huddled around a taco wagon. 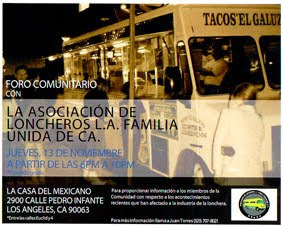 The lights said Tacos La Familia which rang a bell. I get a lot of tips and I write them all down in a little book I keep in my glove compartment. After I parked I flipped through the book under San Fernando Valley. There was one tip for Tacos La Familia. Sometimes I get multiple tips for a taco truck and for every tip I write a little star next to the entry. 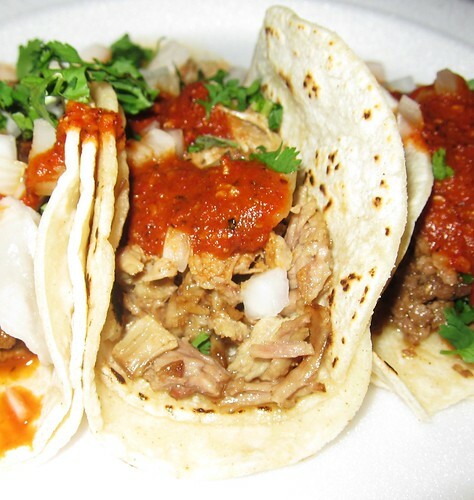 The al pastor wasn’t from the trompo and I really should have ordered buche but I sort of have taco tourettes and when it’s my turn to order I blurt out - asada, al pastor, carnitas por favor without even thinking. 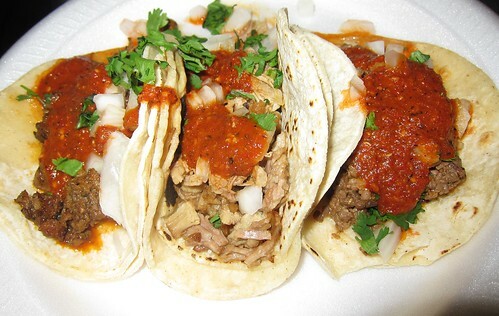 The carnitas was on - little crunchy bits with juicy strands of pork. 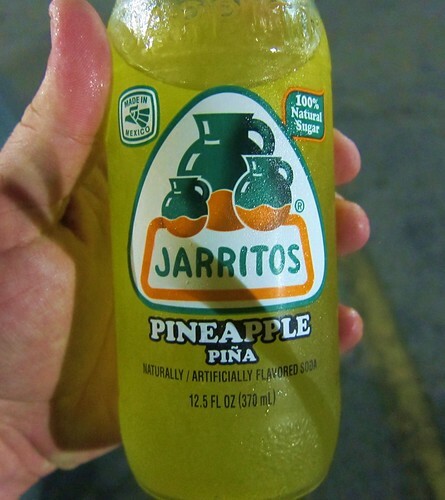 The chile salsa perked the taco up and made me reach for my pineapple jarritos. The al pastor was sweet and greasy and like I said not from the trompo so I shouldn’t have even bothered ordering it. The carne asada tasted much better than it looked but the beef was a little too greasy and it was a little too ground up in texture. The salsa roja was good enough that it hid the beefs shortcomings. 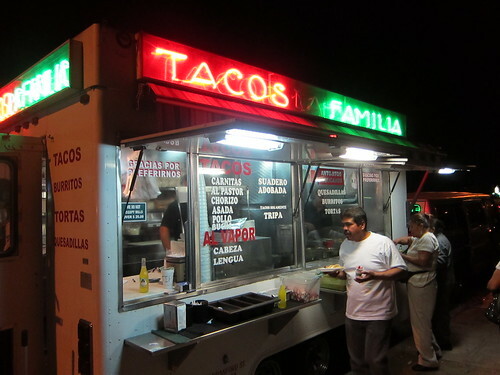 This area of the San Fernando Valley has it’s share of taco trucks. So far none really stand out as superior and it’s been so long since I’ve been to Tacos La Fonda (rumors abound that they‘ve dropped in quality) that I wouldn’t know where to begin to say who carries the torch . But I know somewhere out there in this wide open valley there is a taco truck that will have me dancing in the streets. I just haven’t found it yet. I need their phone #.. anybody know if they cater?